The capacity of our environment to provide space and supply energy (incl. food) is limited. Here are the impact of population growth and milestones in human history since 1 CE*. * = Common (or Current) Era (CE) is one of the notation systems for the world’s most widely used calendar era. The era preceding CE is known as Before the Common (or Current) Era (BCE), whereas the Dionysian era distinguishes eras using AD (“Anno Domini” or “[the] Year of [the] Lord”) and BC (“Before Christ”). The world population counter does not actually tick up every time someone is born. By using past census data the rate of population increase can be determined rather accurately. The counter then shows the predicted increase over the course of one year but instead of updating the number just once each year, it divides the estimated number of people who will be born in that year by the number of seconds in a year, giving the appearance of a counter that is ticking upwards continuously. 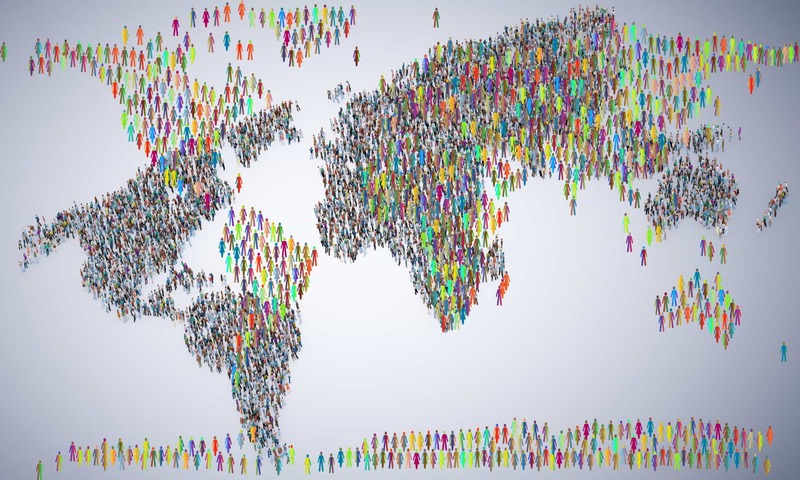 According to global statistics, the world population on earth increases by 2.5 people every second and so implies 150 people per minute. However, this number is both commonly misunderstood and misinterpreted as it does not mean 2.5 new born people in every second. Rather, 4.3 people are born on average in every second while 1.8 people die in the same time. In a whole, this implies an increase of 2.5 people per second (4.3 born people minus 1.8 dead people equals 2.5). Extrapolated, these figures imply a number of 137 million people born every year on a global level whilst 58 million people die in the same period of time. In 2013, Sir David Attenborough said if humans did not control population, the natural world would and in 2018, he stated in an interview with the BBC’s Newsnight, that slowing population growth is key to saving the planet. By 2025, world population will probably be over 8 billion people. Around 2040, it could hit 9 billion and by 2100, it could reach a massive 11 billion people. The Human Explosion Explained. In a very short amount of time the human population exploded and is still growing very fast. Will this lead to the end of our civilization? Prof. Hans Rosling uses statistics to give an overview of population growth and an explanation of why the total human population will never reach 11 billion, as others predict and fear. A web publication by Dr. Max Roser. Prof. Hans Joachim Schellnhuber, director of the Potsdam Institute for Climate Impact Research, explains the causes and consequences of climate change and what can be done to combat it.